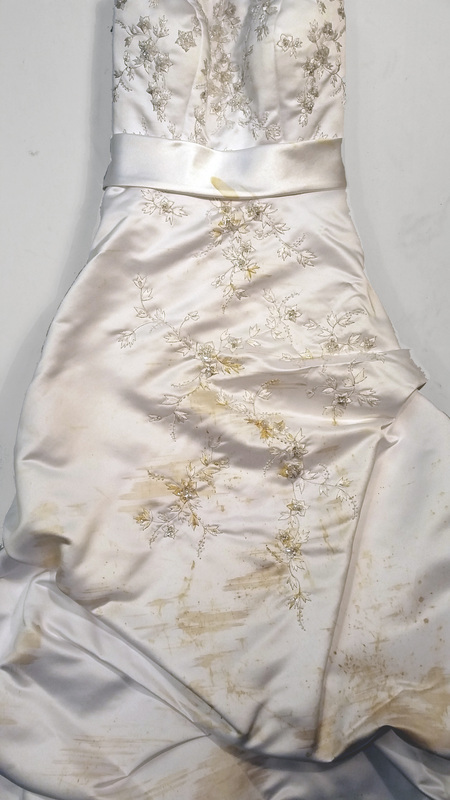 This wedding dress had suffered serious stains. 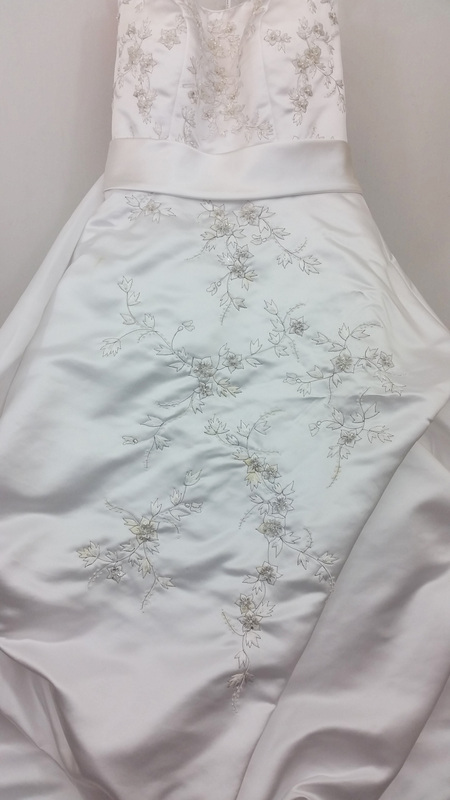 Arrow was able to clean this wedding dress back to nearly new. 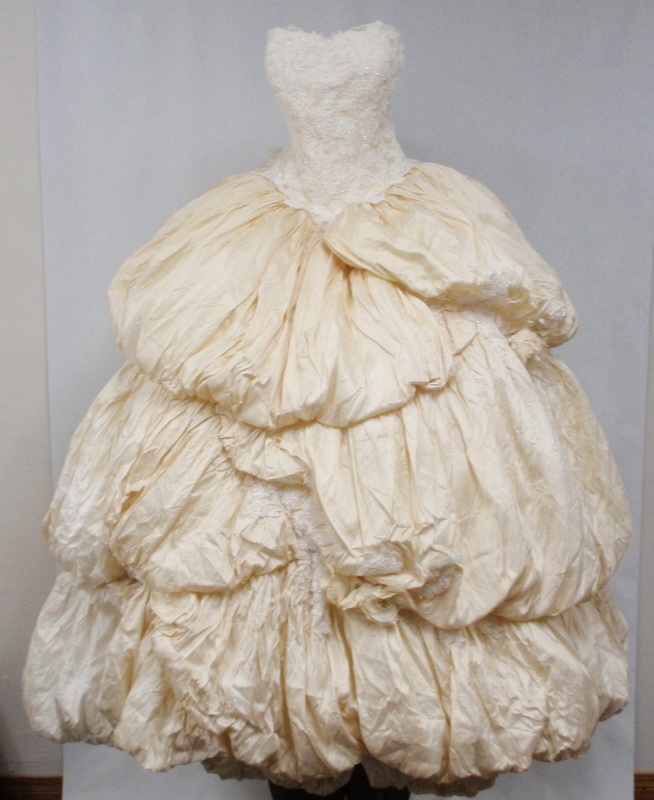 This wedding gown had yellowed due to age. Arrow did an amazing job restoring this gown. The hem of this bridal gown was severely stained from a night of celebrating. Arrow Fabricare did a beautiful job cleaning.